Modern successful citizen is forced to spend a lot of time in close offices, surrounded by large number of people. It’s understandable that he seeks to compensate for lack of personal space at least at home. 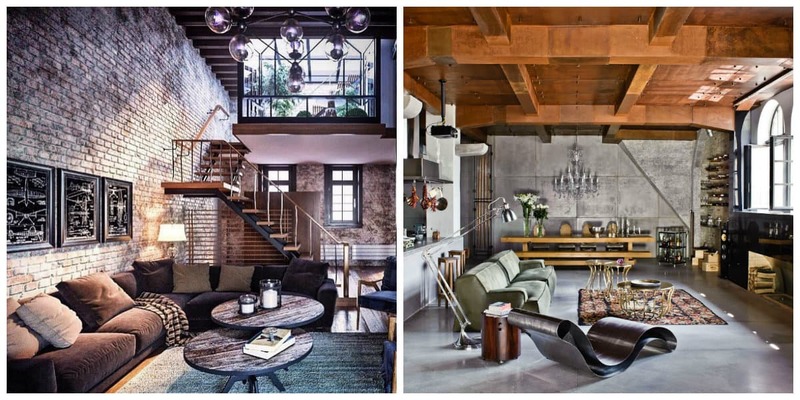 If you are unpretentious and interested in space, light and air, you should create loft style apartment. We will suggest some original ideas for its arrangement. 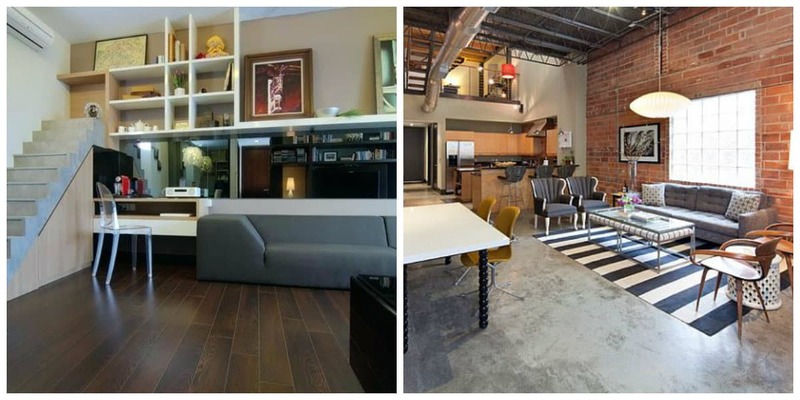 Loft style apartment is ideal for those who have purchased and remodeled under housing former production areas. Moreover, today many developers offer apartments in new buildings, specially designed to implement design in attic style. 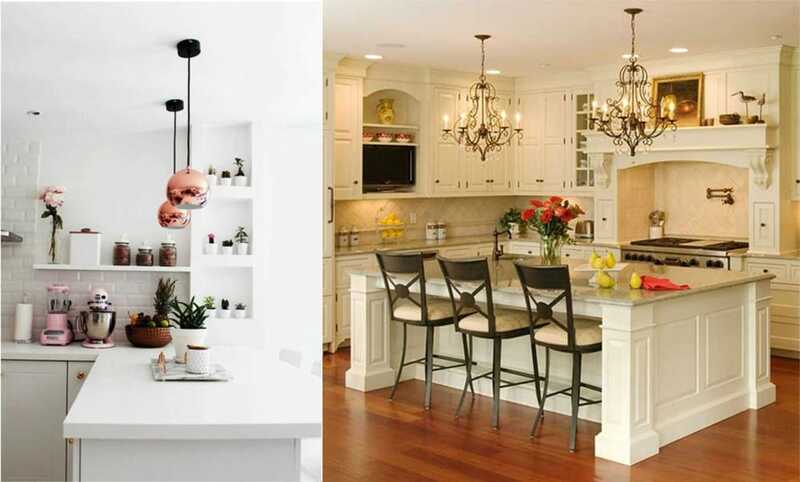 If your home doesn’t belong to these categories, it doesn’t mean that it won’t suit you. 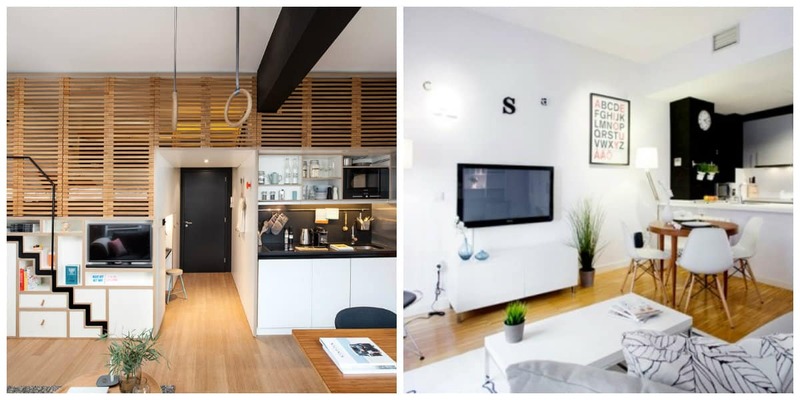 Obviously, loft style in small apartment is difficult to implement. 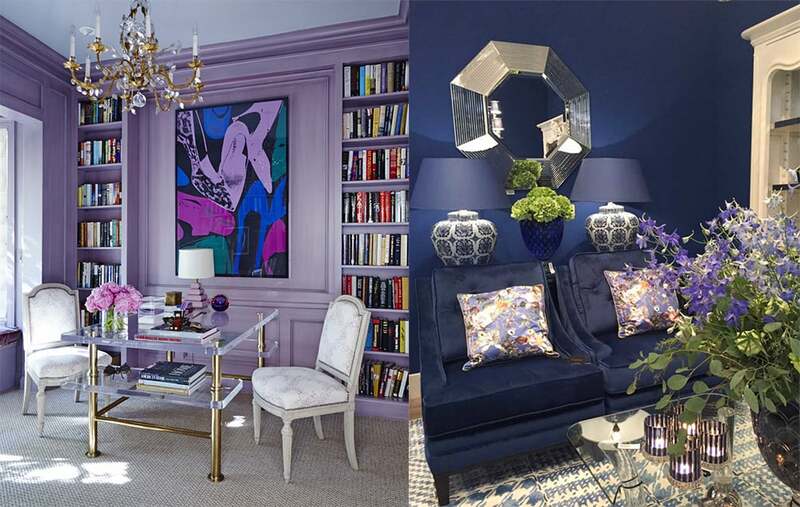 However, with right approach, you can create attractive and comfortable interior. It’s believed that attic style is best suited to loners. This is indeed so. After all, initially in former industrial shops students and people of creative professions settled. In this regard, you shouldn’t be surprised at photos on which, for example, there is bath in bedroom. In any case, apartment in loft style isn’t suitable for families with children. Characteristics of classical attic are absence of any partitions, except for bathroom. For zoning of premises, use of finishing materials with different texture and use screen. Special wallpaper textures that mimic brick will suit for loft style apartment. You can also obtain original coatings by using special plastering technologies. As a result, walls will look as if they hadn’t been repaired for a long time. Try to finish apartment in loft style with planks. Especially appropriate in this interior look artificially aged lumber. 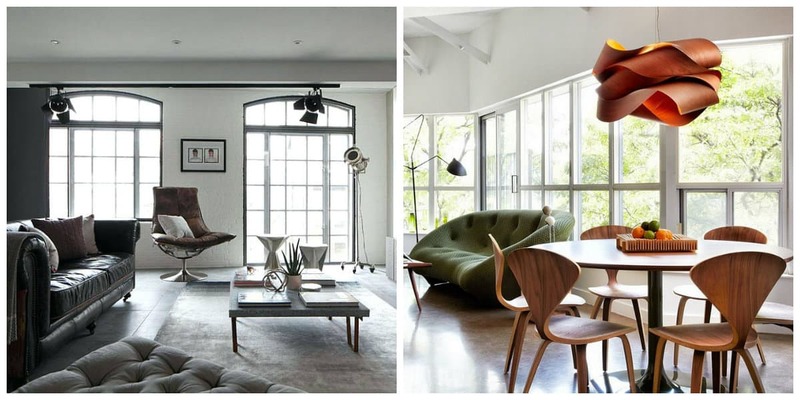 They emphasize certain vintage interior and give it special charm. 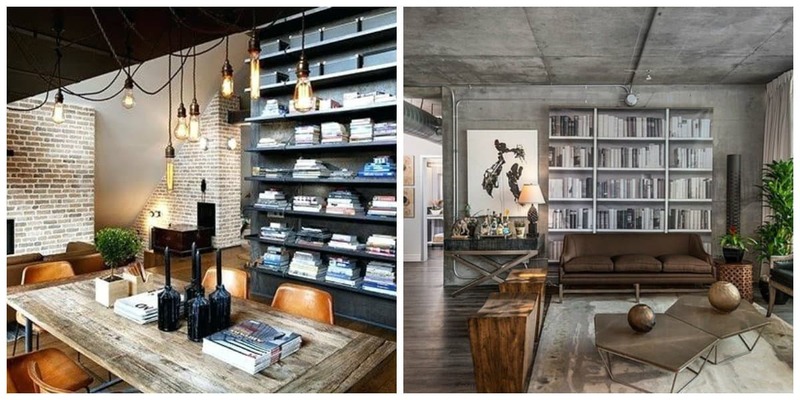 Apartment in loft style shouldn’t be cluttered. This means that you should use only the most necessary items of furniture. Main one is large and very simple bed. 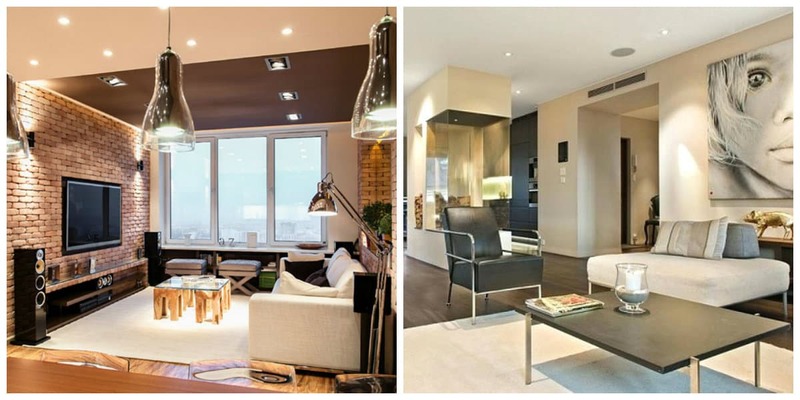 If it’s small apartment, then choose option that will perform functions of ottoman. In this case, bed will replace sofa, which will help not overload space of room. Loft studio also needs kitchen area. As storage systems are suitable industrial cabinets, also replace bar counter by workbench with drawers. 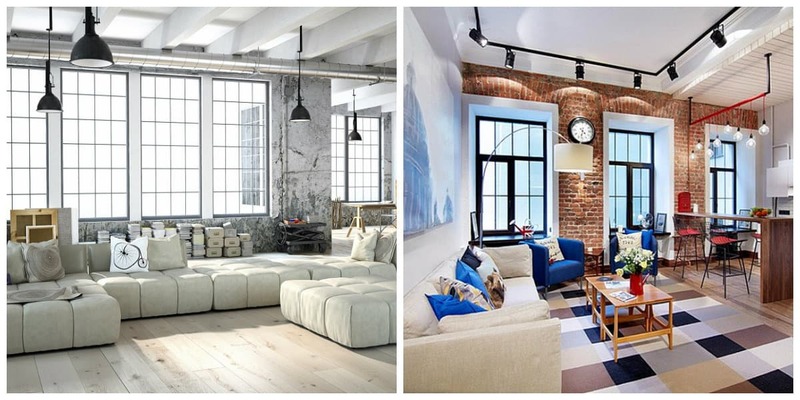 Loft style apartment in terms of decoration should be quite minimalistic. These function suits items that have practical purpose. 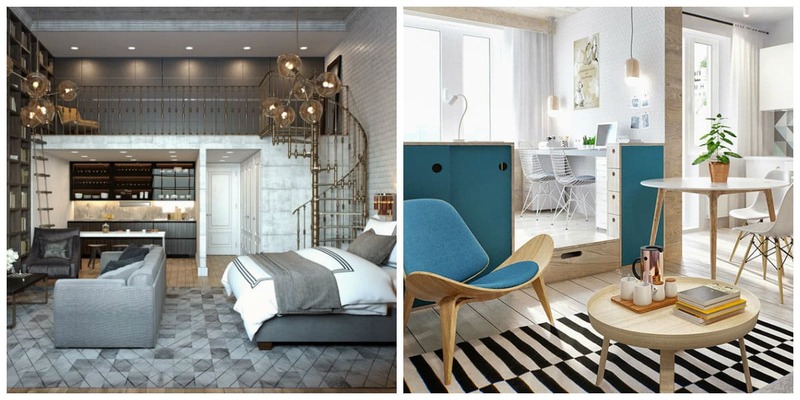 For example, you can use lamps in attic interior design, representing various variations on Edison lamp theme. 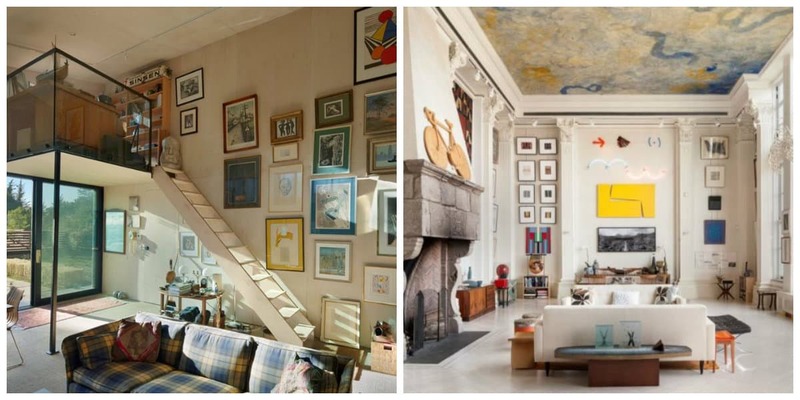 Decorate home in style of loft with help of paintings in different modern styles.